If you have made it this far in your research, then this question has entered your mind on more than one occasion. Of course the experts will tell you that it is a Green Product and that it is “Good for you” so you should go ahead and take the plunge. But what does all of that mean, anyway? By what definition is “Green” referring to? Is it “the industry” or “big business” or is it some bored salesmen trying to get you with an Eco “guilt trip”? I think the facts need to speak for themselves. 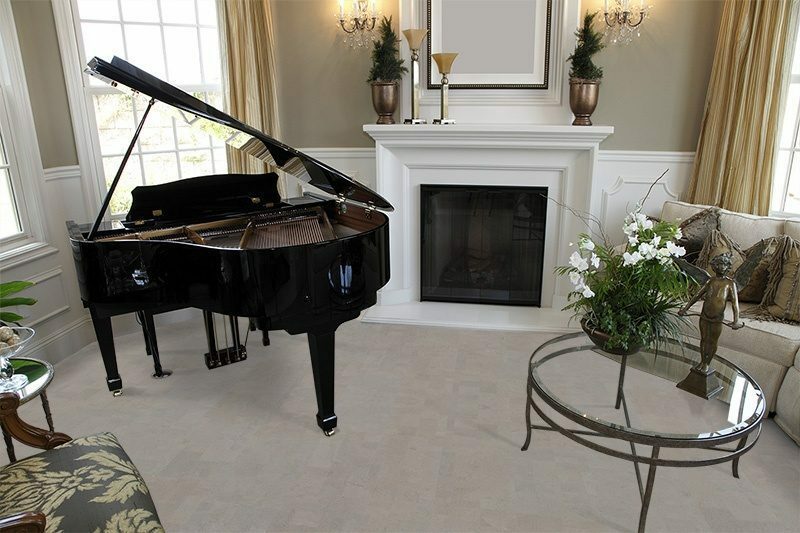 I will let you, the consumer decide for yourself Why Choose Cork Flooring. It all comes down to your interests and your values. Without your internal guidance, nothing will stick in your mind unless you have a full understanding of the process as well as the product. It all starts with the cork oak. Most cork oaks are to be found in cultivated orchards throughout the Mediterranean countries such as Portugal, Spain, southern France, Italy, Morocco, etc. The Oak can be harvested by the age of 25 years. That same tree can then be harvested every 9-12 years, producing as much as 500 kilograms of cork each harvest. Harvesting can continue until the tree reaches 200 years of age. The cork oak has the natural ability to shed its bark. Scientists believe this ability developed as a natural deviation in response to wild fires. It’s believed that the cork’s ability to shed damaged bark enables the tree survive the fire and to reestablish itself as the dominant species without having to establish new trees in an area that has been ravaged by fire. Regardless of the method behind the madness, the cork tree’s natural ability to shed bark enables humans to peel the bark without killing the tree. The cork oak is the only tree that has developed this mutation. Cork harvests are performed by hand by skilled workers and their tools. To date, there is no mechanized way to split the bark of the cork oak. The people who harvest oak make their living off of this specialty. 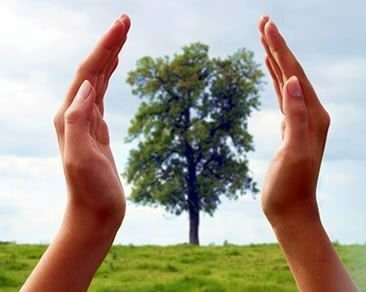 It takes several people several hours to peel a single tree. This skill takes years to learn and requires physical strength coupled with a deft touch to be trusted with harvesting such a crop. As a way of life, cork harvesting is a needed form of income in areas where permanent jobs are scarce. Even inside the EU, the Mediterranean countries are often hardest hit during any lull in the economy. 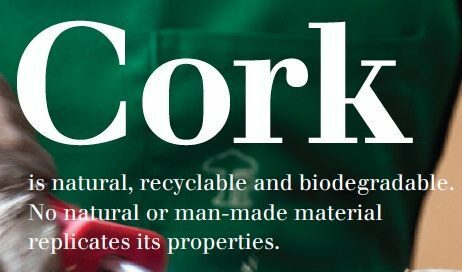 Being a worker in the cork industry is a stable, life-long occupation with room for advancement. Entire villages in Spain, Portugal and Italy are dependent on cork to for their livelihoods. product, cork’s advantages over its competition are amazingly varied. The tree is not felled but peeled for its product. This means the cork tree does not need to be replanted for as many as three human generations. This ensures that cork springs to the top of the Renewable Resources list. The cork bark grows back within 10 years which places it at the top of the “Regenerative Resources” list (it’s a short list). Humans need do nothing more than show up with the right tools to the same tree every 10 years and they have produced a product. Five hundred kilograms worth of raw material is produced without human interaction with the trees. Cork flooring is making a strong comeback in the flooring industry. Industry standards have come a long way in ensuring a long-wearing cork flooring product that does not produce harmful off-gassing. Our Forna Flooring products are produced to European Air Quality Standards. These standards are far and away the toughest standards for indoor air quality. Volatile Organic Compounds or V.O.C.s is the name for the “off-gassing” products emitted by building materials. The V.O.C.s are measured through product testing under strict laboratory conditions. Formaldehyde being the most common product tested for in Air Quality Control testing. Forna Flooring products have been produced for the European market for more than 14 years. These same products have been available to the North American market for the last three years. Forna flooring is ranked as “Formaldehyde Free” and “V.O.C. Free” by the ECO Institut in Cologne, Germany. All adhesives and varnishes used to produce and finish the Forna products are provided by Loba-Wakol and have been certified as “V.O.C. Free” from the same European laboratories.
. Cork is naturally flame resistant but should it catch fire, Forna cork products do not produce harmful chemicals during a burn. There are no known carcinogens produced nor associated with Forna Cork Flooring products. This is one reason Why Choose Cork Flooring. The environment impact is not simply a matter of measuring chemicals; noise pollution is made up of unwanted sounds that produce an impact in our lives. Unwanted, annoying noise is a form of pollution. Reducing sound at its source is one way of fighting noise pollution; the other is by attenuating noise in the environment. In other words, if you can’t get rid of it you can at least reduce its impact in your environment. 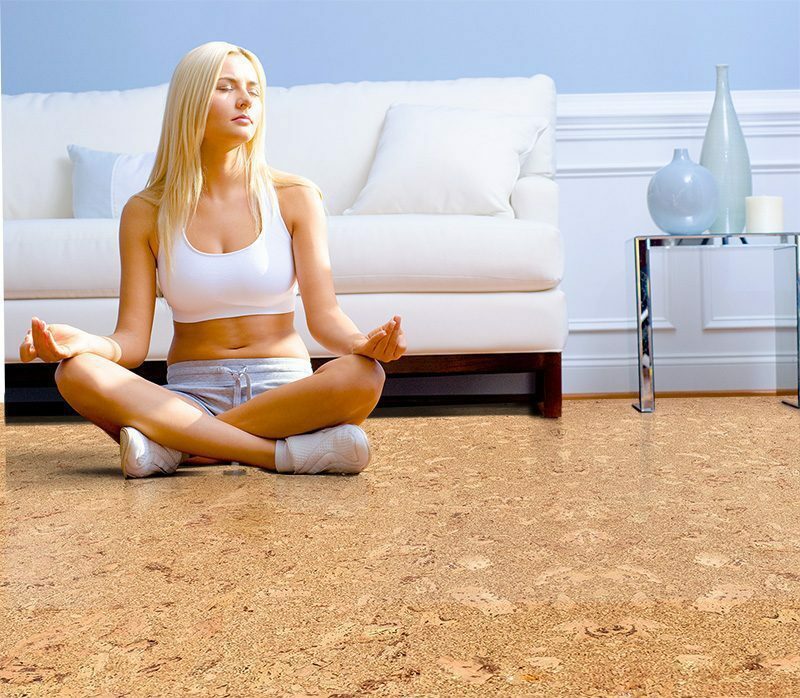 Reducing sound is most important reason Why Choose Cork Flooring. Cork is an excellent insulator. This is due to cork’s cellular structure. The “honey-comb” like structure of the bark is made up primarily of air. This is what makes cork so buoyant. It also makes cork an excellent insulator. It insulates against heat loss as well as against intrusive noises. Some of the most asked questions are to do with costs. 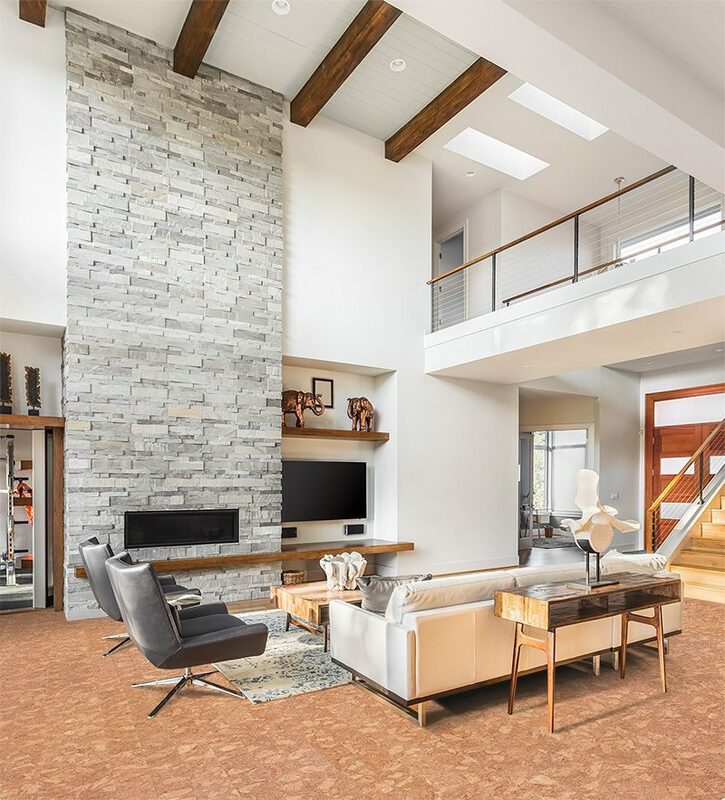 The cost of materials and installation being only one of many cost considerations the average home owner needs to be aware of when looking at cork coverings. 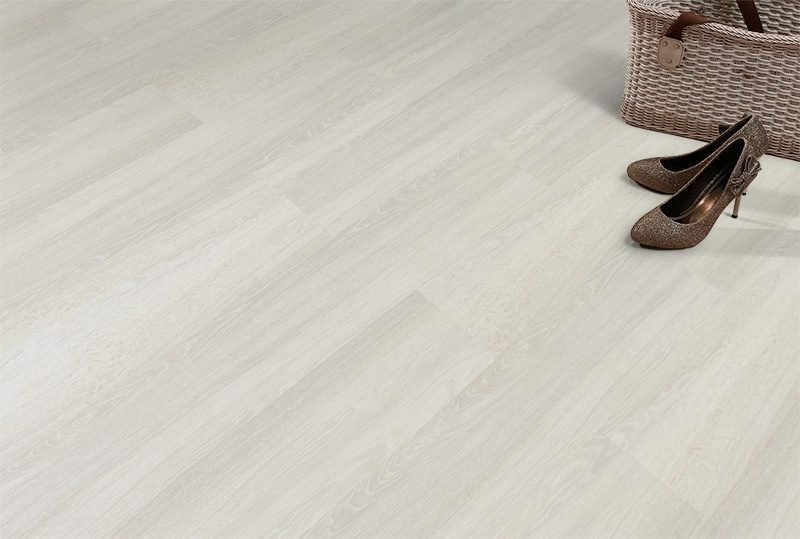 The immediate purchase price for cork, as with any flooring choice, is the cost of materials. Forna Floating flooring products rank well inside the medium or moderate price range for hard flooring products. Installation costs can be minimized by the “Do-it-yourself” handy person. 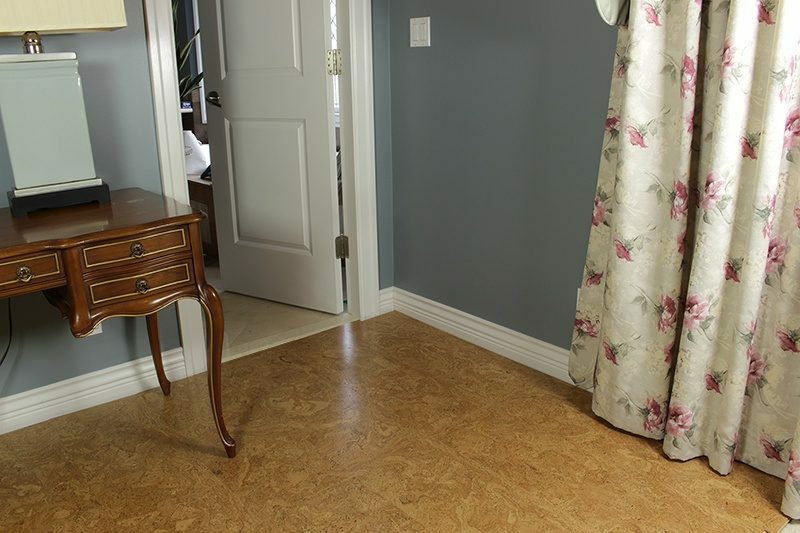 If you’ve laid a laminate floor you can lay a cork floating floor. Some people will opt for the lower priced cork tiles without realizing the full impact of their choice. The amount of adhesive required to finish a tile floor will often result in a floor that is only a few cents cheaper per square foot than had they installed a floating floor. 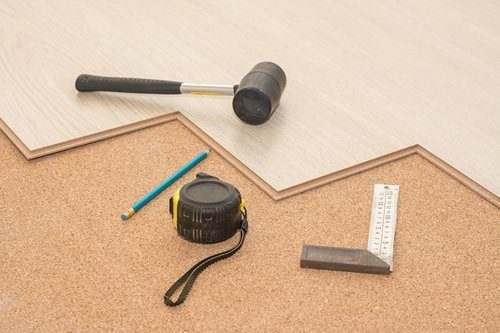 The cost paying a contractor to install a glue-down surface (no matter if it is ceramic tile, cork tile or linoleum tile) is almost double the cost for the same contractor to lay a floating floor. Another consideration for choosing tiles verses flooring is the amount of preparation required to lay the glue down surface. If the home is a new build or an extension then glue down tiles are a great investment. If you are replacing an existing floor with glue-down tile then the preparation of the subfloor is going to take most of the time and effort for the project. Sanding, scraping and leveling are only a few of the requirements that need to be done to prepare a “used” subfloor for cork tiles. And if the subfloor is not ideal, then removing and rebuilding the subfloor then increases the price of the tile floor beyond the price of a cork floating floor. The costs of heating or cooling a home are increasing. The price of oil, natural gas and electricity are now firmly intertwined. When the price of one goes up, they all go up. One reason for choosing cork is its ability to reduce heating and cooling costs. 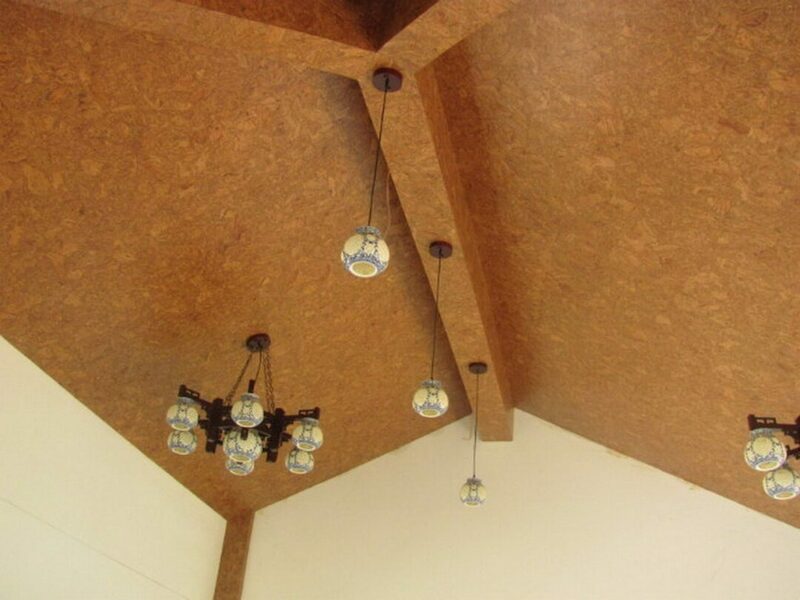 The thermal insulating properties of cork have been known for years. Cork’s physical properties make it an excellent insulator. 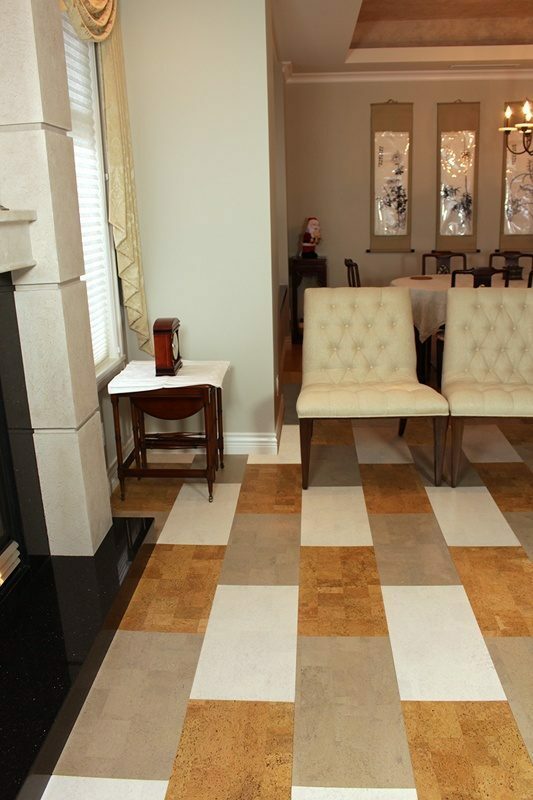 Cork flooring reduces heating costs as it adds R-value to your home. A cork surface acts like a carpeted surface but without the accumulation of dust or allergens. Cork is not limited to flooring. 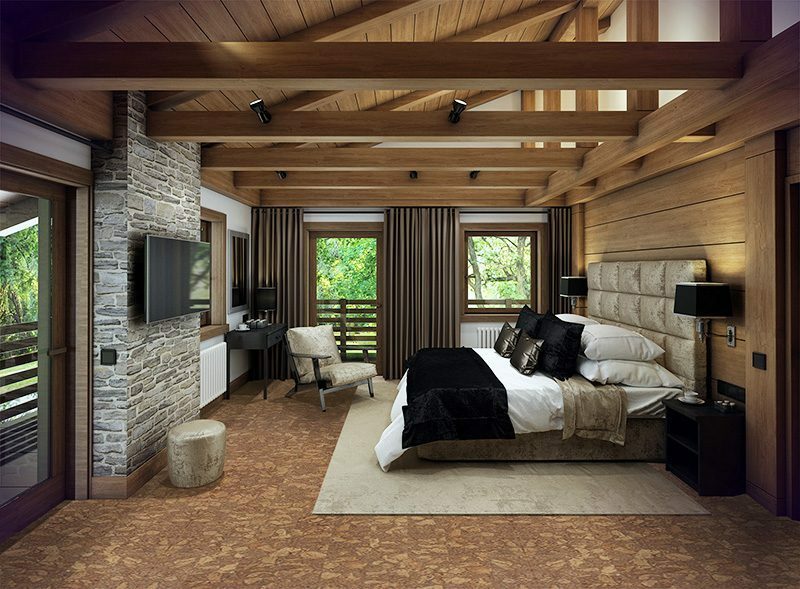 Cork tiles make excellent decorative accents on the wall or as ceiling tiles. 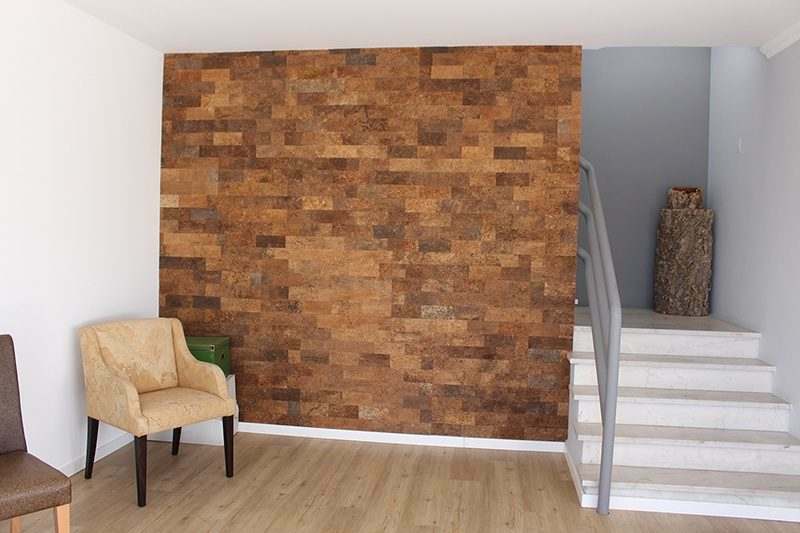 Cork wall tiles are specifically designed to be used as décor on walls. They are thicker than floor tiles with a distinct surface texture that mimics brick or stone masonry.